I don't know why, but every now and then I end up with bits and pieces left over that don't seem to easily fit into one article. So, here's another installment of the "Sunday Morning Grab-bag". Now, this is a problem that's developed over the past several months. Normally guys would never have this sort of problem, unless they too had hair a smidge longer than average. Anyway, I've been plagued with some sort of waxy build-up affecting the last 4- or 5-inches of my hair. I attributed it to shampoo conditioner building up to an abnormal level. I switched to conditioner-less shampoo. No. That didn't seem to have any affect. I even briefly thought about cutting it off but got rid of that idea right away. We were over at Doug and Twyla's a few days ago, and for whatever reason, hair came up as the topic, as things do now and then. Anyway, I mentioned that I was having a problem with conditioner not rinsing out. Twyla looked at it and grabbed her camera to snap a pictue (below) to send to her sister, who, Twyla said, "Would know what to do." 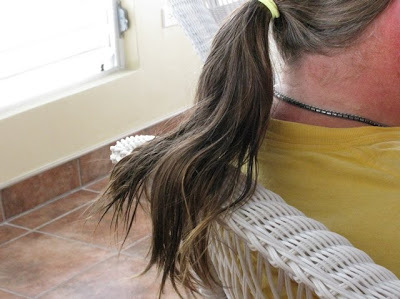 I'm not sure if she's a hairdresser or what, but anyway, she suggested using dish soap and/or laundry detergent to cut the buildup, then conditioning the washed hair. I followed the first part of her advice (I'm a great patient) and used dish soap. It seemed to have an immediate affect. The buildup seemed to be less and the hair more soft and pliable (does that work with hair... pliable?). Things went on well for a few days, with noticeable improvements. That is, until Nelson came over to give me my bi-weekly massage. Which incidentally we had him do on the pool deck. Not that the massage was faulty, on the contrary. It was excellent as usual. What was the problem, as it turned out, was the liniment (Fuerte brand) Nelson uses. It's sort of like Ben Gay, but hotter. Normally, it feels really good when Nelson uses in during a massage. In fact, it felt good during this massage too. The problem became apparent when Nelson massaged my upper back and neck. Aha! That's the cause of the sticky waxy stuff in my hair. Unfortunately, my hair seems to absorb Fuerte at the drop of a hat. Then it takes three or four days at least to wash it out. It looks like I'm going to have to procure me a doo-rag to protect my hair. I'll have to put it on and stuff my hair under it before my next massage appointment. Otherwise, I'll be plagued by stiff, almost dread-like hair - but only the last few inches. Not very sightly and not nice to feel either. And, next up is this tidbit. I've shown a few pictures as some needed improvements have occurred at the Hoare Market here in Corozal. The past couple of days have included large concrete pours across the walk-way between the pavilions, as you can see below. Something Doug noticed this morning, and I have to agree with him (even though I forgot to take a picture of it). Doug said, "It's too bad they didn't get the same guy to finish all of the concrete for the pour. He was absolutely right. The space between the two pours above was filled in by the time we came through on our morning walkies today. Instead of a nice smooth, professional-looking finish as you see here, the finish on the middle pour was rough, uneven, full of weird lines, hand prints, etc. Whoever did it was definitely in a different level of skill and caring regarding a job well-done. Anyway, the whole project is still going to be a major improvement for the Corozal Town Market area. Ooh, and this is nice. This is definitely a play on the famous Swallows of San Juan Capistrano, who return every year on St. Joseph’s Day (March 19th) to Mission San Juan Capistrano. This was one of the things that attracted us to the property we have. One night, before we purchased it, we drove onto the lot to see it in the dark. As our headlights swung across the trees lining the canal, there had to have been nearly 30 or so egrets and other assorted large birds roosting in the trees for the night. What a sight! That did it for us. We were sold. They really do come back every year. Reliably about now - who knows? And, they've never come back in such numbers either. I've always suspected that Gregg hired them to stay for a night or two in the trees so we would buy the property. You know how those realtors can be sometimes. And, a scary one comes out of the bag. Whatever he's called here in Belize (it's not the Boogyman), he came for a brief visit last night. In fact, he came to borrow the movie Surfer Dude. 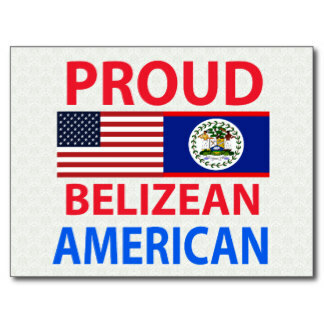 In his secret identity as Dan Cropper, Belize Certified Professional Engineer, and our neighbor across the street. Because of some sensitivities, he has a strong aversion to mosquitos, hence the strange get-up. It was shortly after dark, in fact, just after supper time, and Dan came over to actually borrow the movie. We haven't watched it yet. Dan found it to be fun and entertaining. But then, he's a former surfer, dude, so he was taken with it. In fact, when I went over to his place this morning, he had already memorized a couple of quotes from the movie. "Every surf movie ever made is nothing compared to this one." "It's so slow and uneventful that you could watch it and follow the story accurately while simultaneously doing your taxes." Customs Agent: Is that a job... Surfer? Well, there you have it. I plan to watch it just so I can verify one way or the other, which way I should lean regards this movie - toward the yin or toward the yang. We even got a little birthday party. Great Scott! It's Our Grand God Son! Celebrating his first birthday, our Grand God Son (I think that's what he'd be called), Joshua Adiel Pech, and his folks, Isaiel (our God Son) and Amarilly visited us this afternoon. My, my, my, my my... They do grow fast, don't they? He's just a year old today and walking already. I mean, it's just 8 or 9 steps at a time, but after a while, with the limitless energy of youth, wow! Can they cover some ground or what? He was so cool, complete with Nike running shoes with the light-up heels. They didn't have stuff like that when I was a kid. It was a nice afternoon, even if we did have some extremely high winds for a couple of hours. I'm glad Dianna and I were able to share and help Joshua celebrate his first birthday. And, then this came up. I Won a Free Beer! Last thing on the agenda. Thursday night we went once again to one of our favorite places, Hailey's for some dinner and a draft Belikin or two. As we were sitting and chatting, letting our chicken and burgers settle before heading home, the young lady (Jasmine Powery) who runs the place came over and asked me "Are you the person who writes on the Internet?" Assuming she meant this blog, I said that I was the guilty one. She said she was giving me a beer to thank me for all the people who read the blog and came out to sample their menu and the draft Belikin. This was the first thing like that that I've won. I guess "won" isn't the right word. It really wasn't a contest. Well, whatever, you get the drift. So, I guess that put's me in compliance with the new U.S. Federal Trade Commission (FTC) guidelines. That is, beginning December 1st of this year, bloggers who receive compensation or freebies of any kind from businesses or even advertisers whose products they review, must disclose these things publicly to their readers, or face up to an $11,000 fine. Somebody must be making a pile of money off their blog if they're facing a fine of that size. The new rule is cool. I have no problem with that. I can categorically state that this beer is the one and only item I have ever gotten "free" from any vendor, advertiser, or business. If there's been anything else "reviewed" in this blog, it's been stuff (in some cases crap) that I've bought with my own funds. I'm not beholden to any entity for anything. My comments are strictly my own. If I like your burger, I'll say so. If I don't, I'll say that too. I'd never really thought about it before, but from what I've read in the media, not telling your readership when there's a hidden relationship with a vendor, etc., that is written about in a blog is a huge and growing problem. 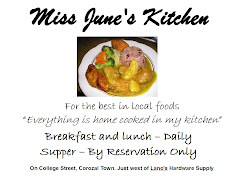 Although there are two ads in my blog, one for Lano's Hardware and one for Miss June's Kitchen, I doubt either of them even know the ads are on the blog. I made them up more as a lark than anything and posted them without mentioning anything to either. 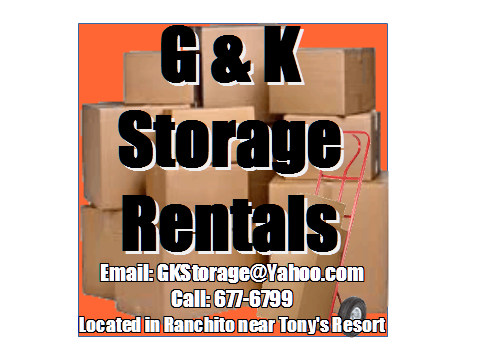 Yes, they're businesses I patronize, and I recommend you do too. But, I don't get free anything from either, and I don't expect to. 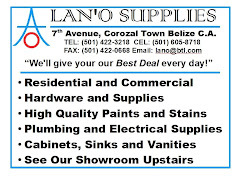 Most Belizean businesses are probably in a perpetual struggle to survive. I mean, if they can't afford to even put their company name in bold in the White Pages of the BTL phone book, how much money can they be bringing down? And the last thing out of the bag. I almost forgot it was in there. This last Thursday, Doug and Twyla, and Dianna and I took the bus over to Chetumal again. It gets easier each time we do this. This time we got a multi-pass endorsement (stamp) on our Mexican Tourist Visa. This means we don't have to fill out the form each time we travel over to Mexico. It's good for six months. We got the form at Mexican Immigration. Fortunately, there's a bank right there at the border, so we took the form for each of us over to them and paid the $262 Mn (Pesos) - roughly $26.00 US. A far cry from Eduard the Shyster, in the faerie tale, who wanted to get those for Lords Gourdy and Dread for $150 US each. Uh-huh. Such a deal. We didn't see him at the border. In fact, it seemed there was a whole new crew and training going on as well. Maybe the experience of Lords Gourdy and Dread actually paid off. Who knows? The down side was it took about an hour to get the paperwork done at the bank. I don't think they had a clue of what to do. But, once we paid and got our receipts, it was back to Immigration for the stamp and we were on our way. We took a taxi from the border to the mall. I think that cost about twenty pesos or so. We headed right for the theater. Our plan was to see Bruce Willis in Surrogates, or Identidad Sustituta, as it is in Spanish. We saw it in English with Spanish sub-titles. But, first before we went in to the movie itself, we had some time to burn, so we opted to get a hot dog and a Coke each, taking advantage of a 2-for-1 sale. What a great hot dog. We added some mustard and ketchup, and some tomato salsa (no relish). Yummers! So, when it came time to head into the movie, Dianna and I got a mediano-sized bucket of popcorn and a couple of bottles of water. Doug and Twyla opted for the grande popcorn. There's like 13 or 14 theaters in this complex. 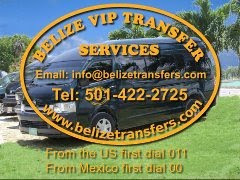 Nice, comfortable A/C (not too cold), modern, clean, roomy, great sound systems, and very comfortable seats (rocking and semi-recliner) with drink holders. Surrogates was a good movie too. Not great, but a heck of good way to spend an early afternoon. After the movie, we took another taxi to Sam's Club for about 14 pesos or $1.40 US for the 4 of us. Dianna and I joined Sam's. That cost us about five hundred pesos (fifty bucks). I got a replacement pair of Crocs. Dianna got a couple of string top tank tops, and we got some pistachios. After that, it was another taxi to the market place and an uneventful bus ride back to Corozal. When we pulled in to the Corozal bus terminal, we saw Beverly, who lives across the street with Dan, getting on to head to her folks farm. And to top off the day, we all went to Hailey's for supper. That's when I got the free beer I mentioned already. What a day! It just don't git no better. I'll bring down one of the wife's "turbee towels" for your hair on our next visit. They work great...but it might be in pink. Glad that your hair problem seems to be figured out. Very entertaining Sunday AM read.